Creates a natural look or sophisticated makeup. 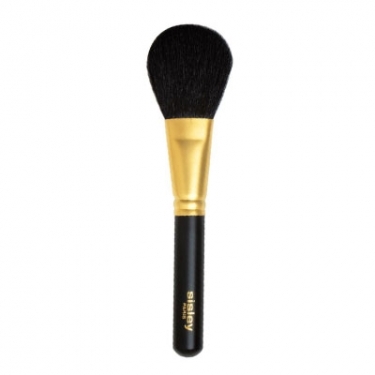 Pinceau Poudre Libre is a Sisley make-up brush ideal for the application of loose powder. 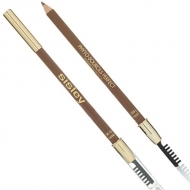 With its shape and the precise size of its bristles, it allows for quick and easy make-up application. The soft, thin and ultra-supple bristles offer an easy and light application. 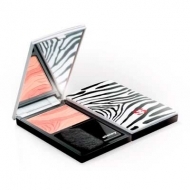 Enables the creation of versatile make-up, from the most natural to the most sophisticated. For a natural look: lightly load the brush with powder, tap off excess on the back of your hand, then brush on the powder in a circular motion, moving from the center of the face outward. For a sophisticated look: apply powder liberally with a powder puff, then remove the excess with the brush. After washing and air-drying your brush, shake to fan out the bristles in order to restore their natural volume.